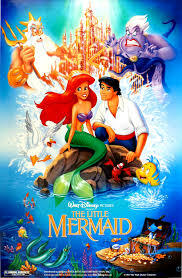 Disney’s Little Mermaid will celebrate her 25th birthday in a few days. Ariel was the first Disney Princess to be touched by feminism. And she is plenty different from her predecessors — good girls who never rocked the boat, and who all needed saving by their Prince Charmings. In Ariel we find a young woman with a strong sense of self who seeks independence and empowerment.